Use this particle size analyzer to grade or measure gravel and small cobble-sized bed sediments in the field. 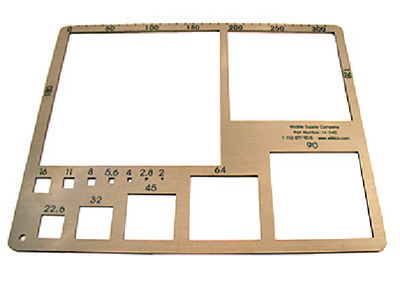 More accurate than a ruler, the device features 14 square holes of common sieve sizes. A scale in 10mm increments is provided along one side, so the meter can measure up to 310mm. Size: 13 1/2" x 11".